We are a fast growing business with the capacity to run multiple projects throughout central London. Client satisfaction, repeat business and word-of-mouth recommendations are the keys to our success. The expert tradesmen at L.T Design & Maintenance are led by an equally passionate and experienced project management team with responsibility for ensuring that clients’ needs are met on time and within budget, whatever the size, nature, and logistics of the project. Whatever your location, from small, residential jobs, to large-scale commercial and industrial projects, L.T Design & Maintenance have the skills to meet your needs. 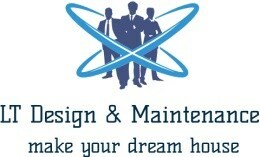 The L.T Design & Maintenance management team is comprised of equity holding directors and senior project managers. As a young and ambitious company, we are able to maintain a degree of operational flexibility at all times, an ethos that allows L.T Design & Maintenance to respond and adapt to any changes that invariably emerge during a project’s timeline. Since the company’s inception, L.T Design & Maintenance has consistently delivered competitive pricing for painting and decorating services in London and further afield. We advocate a no-nonsense policy of excellence and value for money – friendly, tidy, on time, and always with the minimum of fuss.